A Petroleum Register is either an online or offline source which contains information on petroleum contracts, contract areas, licenses, permits and authorisations. It may contain regulations for the application of open and competitive public tender processes in the allocation of petroleum rights and other relevant information relating to the award of such contracts. Public access to such registers is ideal to promote sector transparency and accountability. Petroleum Registers are meant to simplify and streamline the collection, use, storage and distribution of infrastructure, volumetric and royalty-related information that are reported. 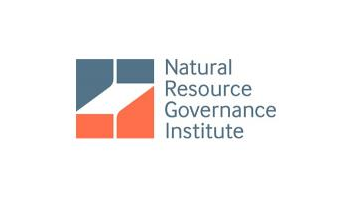 The prime goal of the register is to provide stakeholders with a single, cost-effective, authoritative source of secure, valid, standardized, sharable, and timely petroleum-related information. 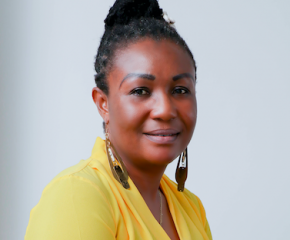 In Ghana, the Petroleum (Exploration and Production) Act, 2016 (Act 919) section 56, directs the Petroleum Commission to establish and maintain a public register for all petroleum agreements, licenses, permits and authorizations. In the advent of technology, online portals have become the most preferred form of hosting such registers due to easy accessibility and convenience at least cost. 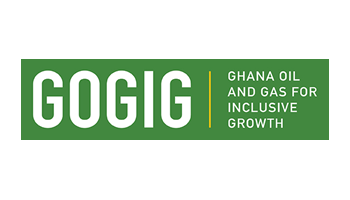 The launch of the Petroleum Register in Ghana will boost Ghana’s performance in the resource governance index, deepen upstream oil and gas sector transparency, accountability and increase investor confidence in the oil & gas sector. 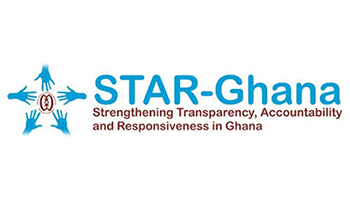 Features of Ghana’s Petroleum Register? 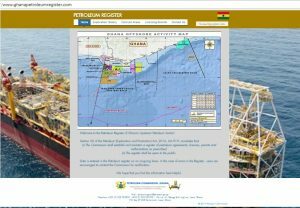 Ghana’s online Petroleum Register currently has 5 tabs. The following is a description of the tabs. Tab 1- Home: Has the map of Ghana’s offshore petroleum basins namely: The Western Basin, Central Basin and Eastern Basin. Tab 2- Exploration History: Contains information on Ghana’s petroleum journey since 1896 till the first commercial deep-water discovery in 2007. Tab 3-Contract Areas: Contains the main source of information for the platform. It has information on fiscal terms, assets, contracting parties and names of operators for each contract area. Hyperlinks under each contract area leads to information on registration permits, exploration and development permits, licenses to install and operate facilities, permits to install and operate facilities, reconnaissance licenses, drilling permits, production permits, flaring or venting authorizations, approval of third party access, permitted mortgages, assignment, permits, authorization, approvals, certificate or consent. Tab 4-Licensing Rounds: This tab has information which says in the future, the Ministry of Energy will provide date for licensing rounds, venue, expression of interest, general procedure requirement for tender, pre-qualification requirement, invitation to tender, tender documents, bid – information or mode of submission, content of bid and qualification requirement for operator regulations. Tab 5-Contact us: The contact us tab has blank spaces for visitors to provide name, email, phone number and message for feedback.